Surface Pro 3 will be available for a price starting at $799, and up to $1,949. There is no word on its availability for India. #Tech: Microsoft has announced the latest member of its Surface tablet family, the Surface Pro 3 at a press event in New York City. Microsoft is dubbing the Pro 3 “a tablet that can replace your laptop,” and positioning it against the thinnest, most portable notebook — the MacBook Air. 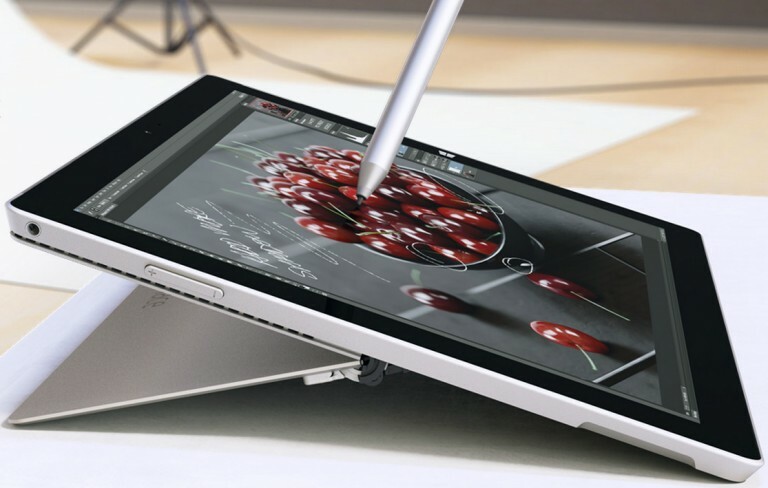 Microsoft Surface Pro 3 is thinner and faster than before. The tablet measures 12-inches diagonally, up from 10.6 inches in the previous model and has a thickness of 9.1mm. 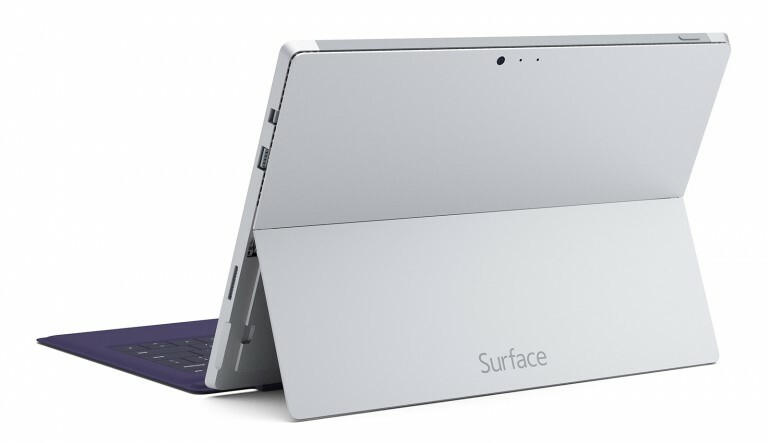 At 800grams, Surface Pro 3 is lighter than Macbook Air which weighs 1.3Kg. Users can easily transform the device into laptop or a tablet. Surface Pro 3 sports a 12-inch full HD screen with 2,160 x 1,440 2K resolution and takes the pixel density all the way up to 216ppi. The device offers 12% more on-screen content than the 13-inch MacBook Air. 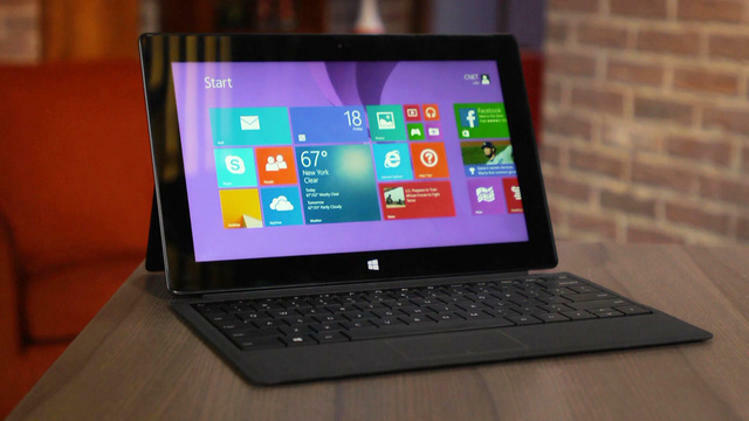 For imaging Surface Pro 3 features a 5 megapixel 1080p HD front and rear-facing cameras. It comes fitted with Dolby Audio for sound, along with a full-size USB 3.0 port, microSD card reader and Mini DisplayPort for quick file transfers and easy connections to a range of peripherals. 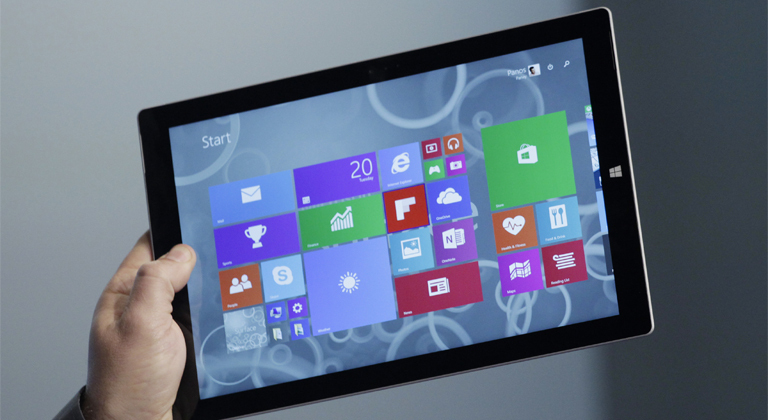 The Surface Pro 3 also promises up to nine hours of Web-browsing battery life.